Base of gaboon wood, bowl of Bohemian glass. Dimensions, mm: 295 (height) х 65 (diameter). 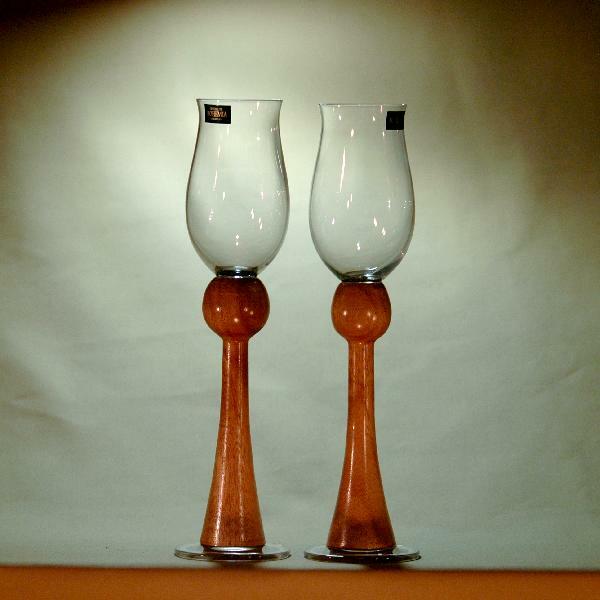 Originally-shaped wedding wineglasses. Stems of rare gaboon wood, bowls of Bohemian glass. A decoration of a festive table. An exquisite wooden wedding gift.